Al Nakheel Beach in Alexandria, the second largest city in Egypt, may be closed due to the waves’ high speed and whirlpools, which caused an increase in drowning cases, according to Governor of Alexandria Mohamed Sultan. 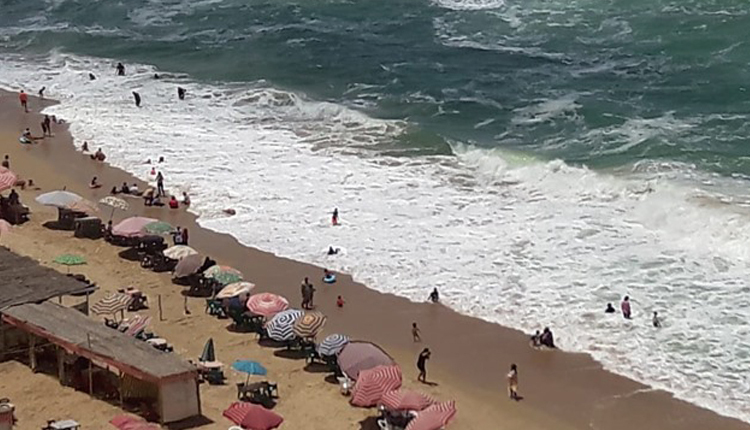 Alexandria beaches have witnessed large waves since Sunday, causing great difficulty for swimmers especially in beaches that do not have wave barriers. In a telephone call with “DMC Evening” TV programme, Sultan referred that most of those who drowned are not from Alexandria, and did not follow the safety and security guidelines. “Closure of the beach is under discussion, although we know that the decision will not prevent people from entering the beach,” he explained. He further remarked that ten people were swept far into the sea by the stream; six of them drowned, and only one body was found, while four other people could be saved. Major General Ahmed Hijazi, head of the Central Administration of Tourism and Resorts, told Egypt Today that the drowning cases happened after the working hours of the beaches’ divers at 5 a.m., and some of the cases swam in rocky places not suitable for swimming such as the area below San Stefano Bridge. He advised vacationers to swim during divers’ working hours, starting 6 am. To prevent more drowning cases, Hijazi remarked that a cooperation protocol is signed with the Faculty of nursing to provide a paramedic at each beach, in addition to the protocol signed with the Faculty of Physical Education that makes scuba divers available as seasonal workers. Additionally, October 6 Association managing El-Nakheel beach issued a statement stressing that it has a highly qualified safeguard system, run by naval architect Mohamed Mansour’s Marine Consulting Firm; a total of 25 divers and five jet skis are spread across the beach and safe places for swimming are identified. Previously, many Parliament members called on the government to close Al Nakheel Beach in Alexandria where many deaths had taken place, stating that this beach annually ends the lives of “dozens of young people” because the rough rocks on the beach create dangerous currents and cause drowning. Earlier, a number of social media users launched a campaign called “Close Al Nakheel Beach,” in which they warned people about the dangers of swimming at that beach, stating that no rescue divers are found there.